Study on CTI expanded to cover impacts of fisheries and aquaculture on marine biodiversity | PRIMEX – Pacific Rim Innovation and Management Exponents, Inc.
A one-year study on the economics of coastal fisheries and aquaculture in the six Coral Triangle counties (CT6) was recently approved by the Asian Development Bank (ADB) to be undertaken as part of the Regional Cooperation on Knowledge Management, Policy, and Institutional Support to the Coral Triangle Initiative (TA 7307-REG). Originally intended to be conducted in the three Pacific CTI countries (Papua New Guinea, Solomon Islands, and Timor-Leste), the study has been expanded to include the impacts of fisheries and aquaculture on marine biodiversity and extended to include the three Southeast Asian CT countries (Indonesia, Malaysia, and the P hilippines). A small scoping workshop was held in Manila on 1-3 June 2011 for the purpose of (i) delimiting the coverage of the study, (ii) identifying data needs and data collection methods, (iii) preparing a detailed work plan with timelines and task assignments, and (iv) seeking agreement on the outline of the Technical Report. The workshop focused on examining existing knowledge about the economics of fisheries and aquaculture in the Coral Triangle, the parameters that influence fisheries and aquaculture development, the biophysical factors (habitats, oceanography, climate change threats) and socioeconomic and governance factors that influence fisheries and aquaculture, and knowledge on fisheries and economics needed for fisheries policy. 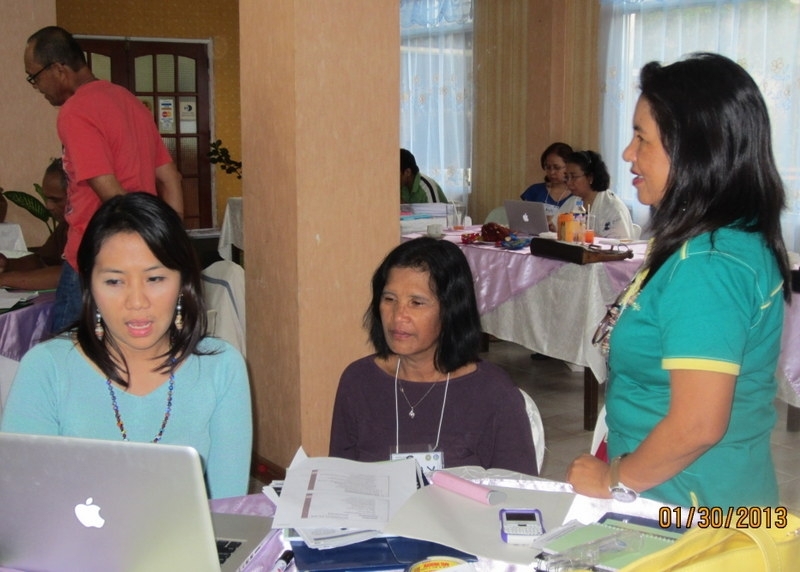 The workshop was attended by knowledge integrators (KIs) from the CT6; ADB Natural Resources Economist Maria Lourdes Drilon; selected resource persons; and concerned members of the Consultant Team led by Ms. Annabelle C. Trinidad, Team Leader, and Ms. Elvira A blaza, PRIMEX President and CEO and CTI KM Project Director.